Recently my wife and I began the 18-year plan to replace ourselves by adding one additional human life into the world. As many of you are aware an infant requires a surprising bulk of infrastructure to maintain its comfort and happiness. Fortunately for the tight-fisted new parent, a few 5 gallon buckets can cut a lot of the nursery clutter. 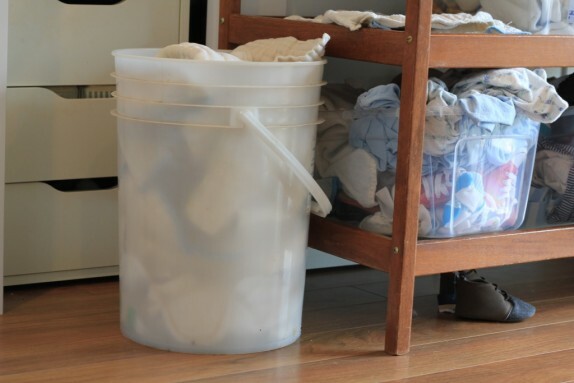 At first we thought a 5 gallon bucket would be way too big for cloth diapers, worrying that by the time we had enough to fill the pail we would have waited too long and would have a real odor problem. Wrong on all accounts. Evidently 5 gallons is about the volume of diapers a new baby will soil in a single day. Remember you’ll also want extra space for dirty diaper covers and reusable wipes. This is a big one. 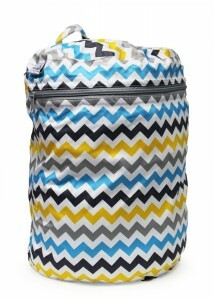 A wet bag is a fancy 20$ pail liner that can be washed along with a load of cloth diapers. It keeps the inside of whatever diaper pail you use fresh and clean. But we’ve found that a naked 5 gallon bucket is actually better than a wet-bag for 2 reasons. Reason 1. You can’t just throw a wet-bag into the washing machine as is, you have to empty it first. Which means it’s tricky to not handle dirty diapers with your hands. 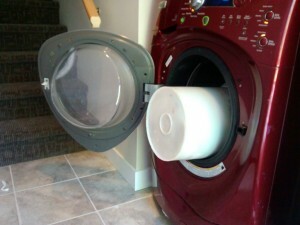 In contrast a 5 gallon buckets slips snugly right into a washing machine, making those diapers extremely easy to dump. A bucket is also designed to be extremely easy to clean. Just spray it down with a hose or if you’re really concerned about sanitation, give it a bit of soap and warm water in the laundry sink. Just for your own reference, we primarily use basic, prefold diapers. We have a fairnumber of them, about 25. But we also have every other kind of cloth diaper: insert diapers, fitted diapers and all-in-ones. 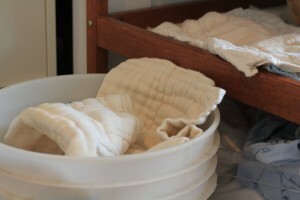 Add to that several different kinds of diaper covers which get stuffed into the same bucket and are washed with everything else. We find that using ordinary laundry detergent works fine the first few times, but the loads start to smell musty and a little off after about 10 washes, which will take only 2 weeks at best. 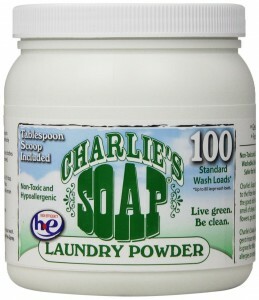 So we switched to a soap specifically for cloth diapers called Charlie Soap. We’ve found that cloth diapers smell much cleaner now before going into the dryer, and the problem we had with gradual staining is gone as well. Cloth diapers clean a lot better if you can program the right cycles. I’ve taken a picture of the settings we have really good success with. The most aggressive cycle is usually “whites” so we start with that. Spin Speed doesn’t matter as much but extra high is a good choice for any load because it means less drying time. We use a pre-wash. This loosens up the diaper dirt especially if it’s gotten a little crusty. It’s a way of getting the worst of the worst off before adding the soap. 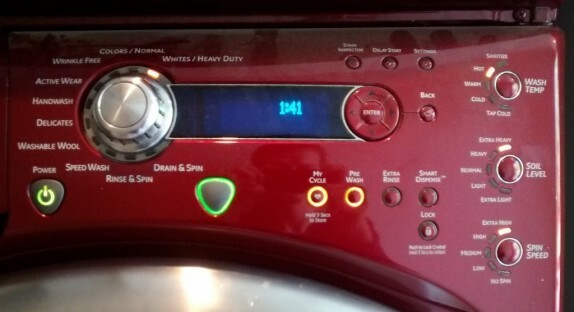 Our washing machine lets you save a favorite cycle which we’ve done here. Having out diaper cycle pre-programmed saves about 8 button presses. Hey, how do you sell the stinging nettle at farmers markets? Do you sell it fresh? Dried? and leaves? Also how do you market it towards your customers? as a herbal tea? My parents are from Poland and have been drinking nettle tea since a young age. It’s actually a common tea sold in grocery stores that comes in packaging.